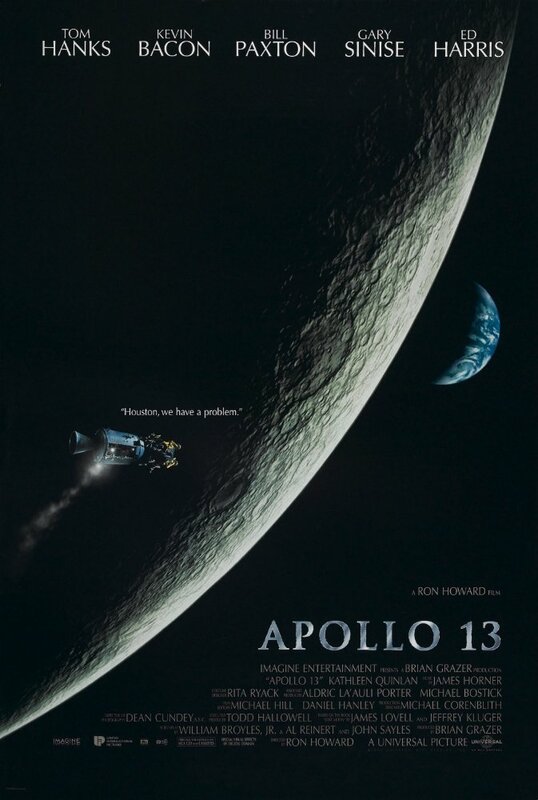 A dramatic true to life film of various individuals with a goal consisting of astronaut Jim Lovell (Tom Hanks), Ken Mattingly (Gary Sinise), Fred Haise (Bill Paxton), Jack Swigert (Kevin Bacon) and Apollo 13 Flight Director Gene Kranz (Ed Harris). The movie kind of drags because it consists of trainings, technical jargon's and accidents. Performances all around were solid while the score and special effects made it entertaining. Apollo 13 is a worthy space film that can be enjoyed without expecting too much or anything groundbreaking. Good story, based on real events. Good acting and sets. The scenes in outer space are the highlight, but the story and characters do a good job of supporting them. One of the most memorable films of the 90's. A downfall to creating a film based off of well known true events is that the conclusion is spoiled, therefore, leaving little in the conclusion that is unexpected. Therefore, these kinds of films tend to rely more on the journey to provide the emotional umph, then the actual conclusion. When the film is made to be suspenseful, this doesn't always work so well. Films like Valkyrie shows us how this can fail. Films like Apollo 13 shows us how it can work. Not a problem with this movie! No posts have been made on this movie yet. Be the first to start talking about Apollo 13!